One of the most promising signs of the early Obama administration was the appointment of Julius Genachowski to chair the FCC. There was significant hope that the days of coddling Big Media and permitting more consolidation and concentration of corporate influence was about to end. However, it is now turning into one of the most disappointing appointments as Genachowski appears to be caving on Network Neutrality, one of the most important free speech issues of this decade. The New York Times is reporting that “Genachowski has decided not to use the commission’s telephone regulatory powers to govern broadband Internet service.” He also seems to be prepared to allow Internet service providers to engage in “paid prioritization,” which could lead to favoritism on the part of the ISPs and discrimination against smaller, independent web enterprises. Net Neutrality has been a target of right-wing disinformation for several years. They wrongly portray it as anything from a new Fairness Doctrine to something out of Hitler’s Germany or Stalin’s Russia. That is how obsessed they are with defeating a proposal whose actual purpose is to protect a free and open Internet. That’s how obsessed they are with advancing the interests of their wealthy benefactors at the expense of the American people. This administration has been notably weak-kneed when it comes to anything remotely controversial. They demonstrated this tendency to bail with Van Jones, Shirley Sherrod, the Public Option in the health care debate, Don’t Ask, Don’t Tell, and presently the matter of extending tax cuts to the wealthy. It seems that any opposition to common sense progressive proposals is met with complete surrender. 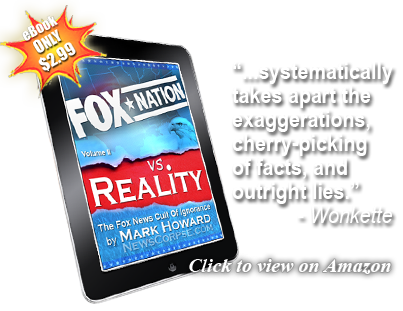 We can’t let liars like Glenn Beck and Rush Limbaugh drive the debate. And we can’t let the White House cave in to pressure from factions that represent greed and corporate power. You can fight back by signing this petition from Bold Progressives to urge the FCC to protect free speech online by supporting Net Neutrality. And here’s another from Credo Action. Or you can use this form to contact the FCC directly and submit your comments. But you only have a couple of weeks, so act soon. You will surely regret it if you don’t and you later find that you can’t access some of your favorite web sites because they were blocked by ISPs because they couldn’t pay the toll. 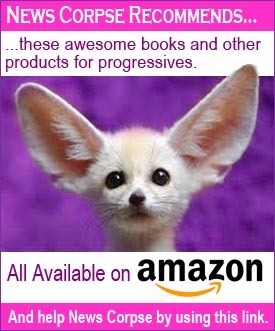 There is no such thing as a common sense progressive proposals – now that is a funny statement. I must admit, if I had even a shread of progressive/liberal in me, I would probably be disappointed in this guy – but ,thankfully, I’m completely clean with respect to those despicable ideas. Another ad hominem attack that fails utterly to address the substance of the article. It reveals nothing but the shallowness of the commenter. My comments come from the total contept I have for liberalism and progressivism. Just can’t help it.